In response to expressed need for a testing service in National Education Policy (1998-2010) and IT Policy of Government of Pakistan (GoP), National Testing Service (NTS™) was established in July 2002. NTS™, being Pakistan’s first autonomous, self-reliant and self-sustained premier testing organization, conducts tests and assessments for admissions, scholarships, recruitment and promotion purposes. It is governed by Governing Board of NTS. Having completed eleven (11) successful years in operation, NTS™ is now playing a pivotal role in promoting merit and quality education at college and university level. Following its core values, NTS™ always strives for excellence and ensures quality, efficiency, reliability, accuracy and most significantly credibility of entire system in a transparent manner under strict security arrangements. 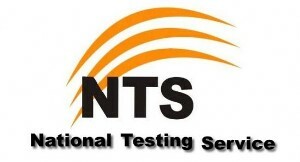 NTS™ tests and assessment are now pre-requisite of many prime public and private sector engineering, medical and other colleges, universities and institutions for admission and recruitment. Disclaimer: You acknowledge that you are a student or a teacher and will ONLY use the past papers downloaded from this website for teaching or exam practice and the past papers will not be kept for longer than needed. You must delete the papers once you have finished with it and you may not distribute past papers for profit making aims.